Hundreds of thousands of teenagers in England, Wales and Northern Ireland have received their GCSE results today. The results for more than five million GCSE entries show A* to C grades have risen slightly this year, but slightly fewer top A* and A grades have been awarded. The proportion of A* to C grades rose to 69%, up from 68.8% last year, but A* grades fell by 0.1 percentage points. In line with last week's A-Level results, the national GCSE results are stable compared with last year. In maths, those achieving A*-C grades increased from 62.4% to 63.3%. There were also improvements in A*-C grades for English, physics, chemistry and biology. But fewer entries for the double science GCSE were awarded good grades. The best results came in Northern Ireland, as last year, where the proportion achieving A*-C grades rose from 78% to 78.7%. In Wales, there was no change, at 66%. There have been changes in the age groups of pupils taking GCSEs this year and this is thought to have influenced results. After changes made to the league tables, schools are entering fewer younger pupils (third and fourth year pupils) for GCSEs. In addition, more 17-year-olds are taking GCSEs, because of a government policy that requires pupils to re-sit maths and English if they failed to gain at least a C grade. As with A-Levels, this year's results come just before a major overhaul to the system. Although the qualification will still be called a GCSE, grades 1 to 9 will be awarded and the content, especially in maths, will become more demanding. The new exams will be phased in over the next 3 or 4 years. Hundreds of thousands of teenagers in England, Wales and Northern Ireland received their A-level results on Thursday. The proportion of A-level entries being awarded top A* and A grades has fallen slightly this year to 25.9% of entries, down from 26% last year. 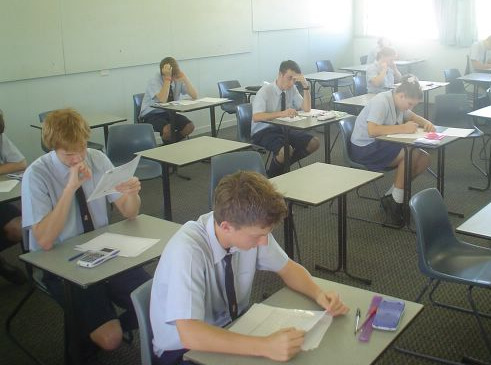 In a year of "stable" results, overall passes (A*-C grades) rose marginally by 0.1 percentage point to 98.1%. The proportion getting the very top A* grade remained the same at 8.2%, with A grades down by 0.1%. 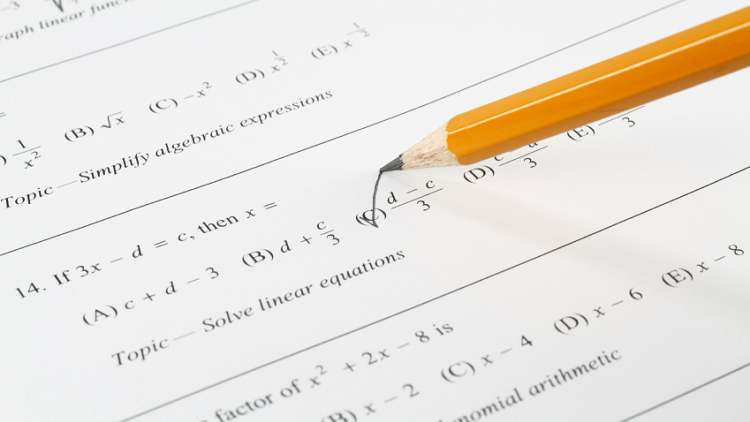 Schools minister Nick Gibb said the results showed the impact of the government's drive for "core academic subjects" with a 20% increase in maths entries since 2010. Traditional subjects such as geography and history have also seen strong growth in numbers, but computer science has seen the biggest increase. With caps on the number of students at each university being removed, record numbers have been accepted on university courses. The Ucas university admissions service said that 409,000 places had already been confirmed, up 3% on last year. Michael Turner, director of the Joint Council for Qualifications, pointed out "The over-riding message from this year's figures is one of stability. There have been no significant changes to the system." "As a result thousands more pupils, from all backgrounds, are studying subjects that will secure them a place at a top university or an apprenticeship and that will help to secure well paid employment," said Mr Gibb. Chris Keates, leader of the NASUWT teaching union, said that the results showed that the "gold standard" A-level system had been maintained, despite the pressure on schools to prepare for forthcoming changes to exams. But this year's lifting of the cap on university places in England has seen more students than ever accepted on to courses. Northern Ireland A-Level students achieved slightly fewer A and A* grades compared with last year, but still outperform England and Wales. The Joint Council for Qualifications said that 29.3% of Northern Irish entries achieved A or A* grades, a drop from 29.9% last year. 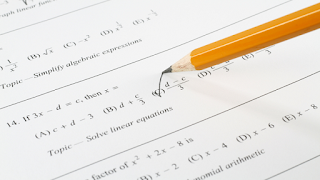 Mathematics is also becoming a very popular subject for A-Level students in the province, with a 10.6% rise in the number of girls taking maths at A-Level in Northern Ireland. But maths saw a fall in the number of students being awarded the top A* and A grades as did the science subjects and English. This year's relatively stable results come before a period of major transition for the "gold standard" A-Level. First teaching for the new A-Levels in some subjects begins this year. For other subjects it will be 2016, and for Maths and Further Maths the new syllabus will be taught in September 2017 for the first time.